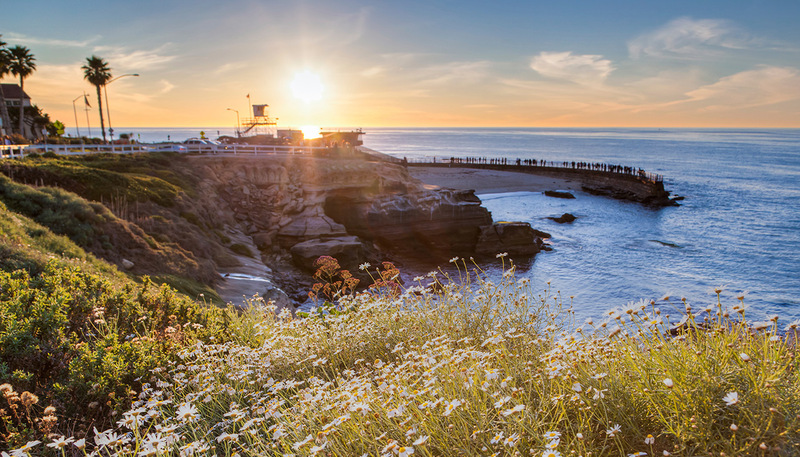 The San Diego Half Marathon has been designed to carry runners over a spectacular 13.1-mile USATF-certified course, while showcasing one of the world’s most beautiful cities! Our signature scenic route begins between Petco Park and the San Diego Convention Center on palm tree-lined Harbor Drive and continues with spectacular views of the USS Midway Museum, San Diego Bay, San Diego’s skyline, Harbor Island, Spanish Landing Park and Cancer Survivor Park. Then it makes its way through historic Liberty Station while passing NTC Park (formerly, the Naval Training Center) and the Marine Corps Recruit Depot. Next, it’s up Washington Street through the neighborhoods of Mission Hills and Hillcrest. The last few miles coast gradually downhill, passing beautiful Balboa Park and lead right back into downtown, with an epic finish inside Petco Park!